Civil investigative demands (CIDs) are tools that state and federal authorities use to collect information they can use to prosecute health care providers and other companies suspected of violating the law. If you have been served with a CID, you need to respond, but you need to do so carefully in order to avoid exposure to unnecessary risk and liability. 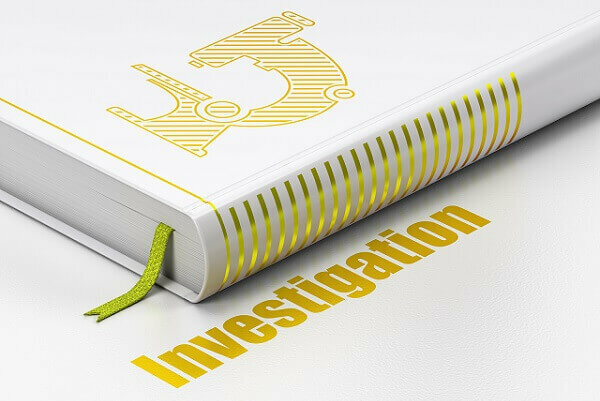 When investigating suspected unfair and deceptive trade practices, false and fraudulent claims, and other legal violations that are subject to civil penalties, state and federal authorities have a variety of tools at their disposal. Each of these tools are subject to differing legal standards, and this presents challenges for individuals and companies that are being targeted in government investigations. A case in point is the “civil investigative demand.” A civil investigative demand (CID) is a type of administrative subpoena that authorities can use to compel production of documents, written answers, and oral testimony without many of the protections afforded to defendants in civil court proceedings. Yet, failing to comply with a CID can still have severe consequences, including being held in civil contempt. Numerous state and federal agencies use civil investigative demands to collect information about the targets of their investigations. While CIDs are often issued to investigative targets directly, other entities with relevant information may receive CIDs as well. As a result, while it is important not to assume that you are under investigation if you have received a CID, you also cannot afford to dismiss the inquiry out of hand. At Oberheiden, P.C., we have significant experience representing clients in all aspects of civil investigations. From allegations of Medicare and Medicaid fraud to antitrust investigations involving the Federal Trade Commission (FTC), our attorneys represent our clients with the goal that civil investigative demands do not lead to state or federal charges. If you (or someone within your business or practice) has been served with a CID, you need to begin preparing your response immediately. Whether you have grounds to challenge the demand or it is in your best interests to fully comply, we can help you make informed decisions and execute a defense strategy to address the potential of civil liability. Legal requirements at the state and federal levels vary, and each agency has its own unique rules, protocols, processes, and procedures as well. With extensive experience as both state and federal prosecutors, our former government attorneys represent clients in CID matters at both levels of government. To be targeted by federal investigators is to enter a dangerous and unpredictable time in your life. Considering the stakes involved, few people are willing to select their legal representation on a frivolous basis. There are reasons so many clients choose us. Most attorneys spend most of their time handling state matters, with only occasional forays into federal law. Our attorneys, by contrast, have been practicing federal law for decades. We are familiar with the nuances of federal law and practice, and our offices in New York, Los Angeles, Dallas, San Diego, Detroit, and Baton Rouge allow us to keep abreast of differences among the various federal jurisdictions. Federal investigations and prosecutions are predatory to the core – in fact, in many cases they resemble a war. If you were fighting a war, having a copy of the enemy’s playbook would help an awful lot, don’t you think? Well, we have the next best thing. Several of our attorneys have spent years working as federal prosecutors for the Department of Justice. They know the playbook being used against you, and are now on your side to help you win the war. Results are all that matters in the long run. At Oberheiden, P.C., we focus on two types of results. First and foremost, we strive for a favorable resolution of your case. Second, we endeavor to resolve your case with as little cost in time and money as reasonably possible. No matter what you are facing, we have seen it all before, and we know what to do – in fact, many of our clients have enjoyed case resolutions that involved no civil or criminal liability. At Oberheiden, P.C., we understand full well that a cohesive team can succeed where a collection of individuals may fail. The federal government understands this too, and if they prioritize the investigation, they will assign a team of investigators, federal agents, and prosecutors to your case. Our job is to make sure that you have a defense team that has worked together for years and is ready to fight back. At Oberheiden, P.C., once we take your case we go to war – and the protection of your best interests is our mission. We absolutely will not stand idly by and watch you being bullied, intimidated, or pushed around. Protecting our clients’ interests is our sacred responsibility, and there is nothing we take more seriously. Q: The government is seeking an extraordinary volume of records in my civil investigative demand. Am I really required to give them everything? Potentially, yes. State and federal authorities have broad power when issuing civil investigative demands, and CIDs will frequently seek to compel disclosure of “potentially relevant” documents spanning a multi-year time period. If the CID meets the limited legal standards for enforceability, you are under an obligation to comply – even if that means taking on an extremely onerous burden. That said, in many cases, it may be possible to negotiate the scope of a CID recipient’s disclosure obligations. Oftentimes, the agency that issues a CID will not initially have an understanding of the volume of records implicated by a request, and narrowing the focus of the government’s inquiry can be beneficial to both parties. However, CID recipients cannot selectively choose to comply with investigative requests, and a limited disclosure should be made only after conferring with the relevant government authority and on the advice of legal counsel. Q: Is it possible to challenge a civil investigative demand? Yes, but only under limited circumstances. As a form of administrative subpoena, the courts generally defer to agency powers with regard to the scope and enforceability of civil investigative demands, and filing a successful challenge in court requires clear evidence that an agency has overstepped its bounds in issuing a CID. At the federal level, the courts will generally only consider challenges to civil investigative demands on four specific grounds. The demand creates an “undue burden” for the recipient in light of the scope and nature of the investigation and the volume of information being requested. The demand seeks the production of information that is irrelevant to the agency’s investigation. The demand seeks the production of information that is already within the investigating agency’s possession. The investigating agency has engaged in abuse of the judicial process. As you can see, these are not strict legal standards, but rather subjective borders that are open to interpretation. As a result, challenging a civil investigative demand is a challenge in and of itself. Recipients of CIDs will often have other more-effective and less-costly methods of limiting their disclosure obligations (even if a court challenge is successful, the most likely result is that the CID would be modified rather than quashed entirely). Q: What are my obligations once I have been served with a civil investigative demand? Once you receive a civil investigative demand, you have two primary obligations: (i) to produce the requested information within the applicable time frame (subject to negotiating a limited disclosure obligation or filing a successful challenge in court), and (ii) to implement an effective “legal hold” in order to prevent the deletion or destruction of “potentially relevant” information. The “legal hold” is a critical step, and one that needs to be taken quickly in order to avoid potential negative ramifications. This involves taking adequate measures to ensure that any records that could potentially be responsive to the government’s request – both hardcopy and electronic – are preserved as long as necessary. Companies that have regularly-scheduled purges and back-up tape re-writes will need to halt their standard operating procedures, and the appropriate IT personnel and records custodians should be notified promptly with clear instructions on what is required in order to meet the company’s legal obligations. Q: What are some of the most common reasons that state and federal authorities issue civil investigative demands? Antitrust violations – The FTC and the Antitrust Division of the DOJ both routinely use civil investigative demands in the course of antitrust investigations. CFPB investigations – The CFPB is the federal agency responsible for enforcing the laws that protect consumers in financial product and service transactions. Medicaid fraud – Both state and federal authorities use civil investigative demands to investigate cases of suspected Medicaid fraud. Medicare fraud – Allegations that a health care provider has submitted “false or fraudulent” claims for Medicare reimbursement can lead to substantial liability in civil cases. Q: How can I protect myself (and my company) after receiving a civil investigative demand? Make sure you know the deadlines that apply. Make sure you understand what you are (and aren’t) required to disclose. Make informed decisions about whether to negotiate or challenge the scope of your CID. Promptly institute a compliant legal hold. Begin preparing your response, and do not assume that your disclosure obligations will change (unless otherwise advised by your legal counsel). Ensure that your means of responding comply with the requirements set forth in the civil investigative demand. Determine whether you, your company, or a third party is the target of the government’s investigation. Q: Why would I receive a civil investigative demand if I am not being targeted in a government investigation? State and federal authorities use civil investigative demands to collect information from multiple sources, not just the targets of their investigations. If you have received a CID and you are not currently under investigation, this generally means that the investigating agency believes you have information that could help to establish a third party’s civil liability. However, it is also possible for an entity that is not being targeted to become the target of an investigation as a result its disclosure of information in response to a CID, and this is yet another reason why it is critical to hire legal counsel who can advise you in all aspects of your CID response. Q: Where can I find more information about what to do after receiving a civil investigative demand? If you have been served with a civil investigative demand, we strongly encourage you to seek legal representation. We offer free initial case assessments, and our defense attorneys are happy to meet with you in confidence to develop an action plan for moving forward. In addition, we would encourage you to read 10 Key Facts about Federal Civil Investigative Demands, prepared by our attorneys. Oberheiden, P.C. represents clients in all aspects of civil and criminal investigations. Our attorneys include experienced federal defense practice attorneys and former state and federal prosecutors who were responsible for leading large-scale investigations for the DOJ and other government agencies prior to entering private practice. As a result of this wide breadth of experience, our attorneys are able to provide deep insight with the goal to protect our clients while mitigating the uncertainty that is inherent in facing a government inquiry or investigation. To speak with one of our attorneys about your civil investigative demand, please contact our offices to arrange a free initial case assessment. We are available 24/7. You can reach us by phone at (888) 519-4897, or contact us online and a member of our team will be in touch as soon as possible. Who Will Handle Your CID? Oberheiden, P.C. offers clients reliable advice when it comes to handling Civil Investigative Demands. Our experience is based on the fact that many of our attorneys come from leading positions within the Department of Justice, where they supervised and issued CIDs in a variety of contexts. It is this first-hand understanding of hundreds of CIDs that allows our attorneys to make the right strategic decisions and to avoid further investigation or even criminal prosecution. If you received a CID, you should request a free and confidential assessment today!